Blanchett, Lawrence, McConaughey, move the hell over! 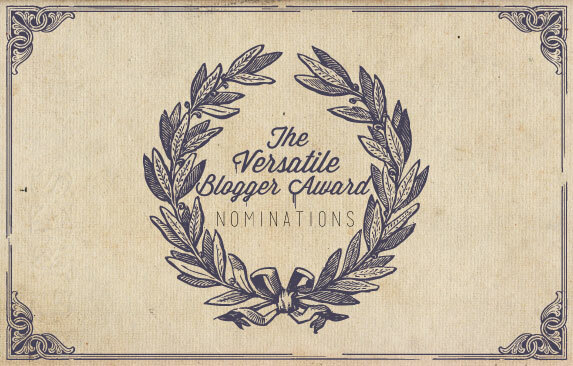 During this hectic film season of brilliant movies and the awards that follow, I have been lucky enough to be nominated for the ‘Versatile Blogger’ award by two lovely site runners, Lauren over at My Kind Of Movie and Vinnie of vinnieh. Firstly, thank you to Lauren and Vinnie. If you are not subscribed to their blogs than I suggest you do so immediately, insightful cinematic analysis and opinions, a wide range of genres covered, just overall top quality blogging and always a pleasure to see that they have published something new. It’s A Small Film World, After All! These are fifteen blogs that I regularly visit and enjoy very much. Most are film related by not all, and some are not strictly bound to movie reviewing but instead offer a peak in to the like, dislikes and loves of the writer. I hope you check them all out and follow if they catch your fancy, I am sure they will. To my nominees, please don’t feel obliged to write a post about your nomination if you have either already been given the award before or simply don’t want to. No pressure here! Just think of your inclusion as a big thumbs up from me, a shout out that I enjoy your work, keep doing what you are doing. 1. I share a birthday with Marlene Dietrich. 2. My favourite band is Fleetwood Mac. 3. I collect Disney snow globes. 4. The only video game I have ever completed is the original Crash Bandicoot. 5. I am an avid fan of tennis, and have attended Centre Court on the opening day of Wimbledon every year since 2009. 6. I prefer Grease 2 to Grease. 7. 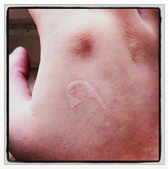 I have a scar on my right hand that is the shape of a fish hook. So that’s that. Thank you again to those who nominated me, and well done to those that I have chosen to pass the baton on to. Should you decide to take up the challenge and publish a post, please be sure to comment here with a link to it, I look forward to reading your facts and checking out your nominees. Well, enough of this self congratulating, The Wolf Of Wall Street awaits! Congrats on your awards and thanks for the kind words about my blog. I prefer Grease 2 to Grease as well! It’s so underated. Yes! You are my people, haha! Big thanks for the nomination. Can’t believe there are non-family members out there who read my blog! Haha! You’re welcome, I really enjoy your blog. Thanks for the nomination, Amy… Even though I’m gonna pass but I really appreciate that you find my blog good enough to be mentioned on your list. I think you people read my blog more often than my own folks (tragic but true :P).